For those of you who have not registered yet for our October 22nd meeting at Dragonridge Country Club, what are you waiting for? You are in store for a very informative and lively presentation on "Marketing & Selling to the 21st Century Bride" by our very own Andy Ebon of EBS Virtual Communications & "The Wedding Marketing Network". "If you are someone who has been providing professional wedding services for any length of time, you surely have noticed the evolution of today's bride. She comes armed with clippings, magazines, day planners, web site information, and much more.She's accruing a lot of information, much of it not very helpful. To help you understand the bride's current psyche and how to best reach her, we bring you "Marketing and Selling to the 21st Century Bride"presented by Andy Ebon." Along with this great presentation in this gorgeous country club location, you will enjoy cocktails and hors d'oeurves as you mix and mingle while admiring the view of Vegas from atop MacDonald Ranch at Dragonridge Country Club, followed by dinner featuring an eclectic mix of tapas designed to wow and promote conversation. End your evening with coffee from Espresso Amore and delight in treasures from the dessert bar. 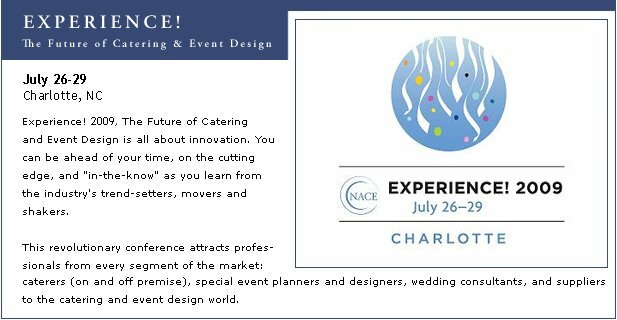 Read more information about this meeting and REGISTER NOW at our website, www.LasVegasNACE.net to take advantage of this great educational and networking opportunity that caters to the best catering and event professionals in Las Vegas!